Try The Best-Tasting Raw Honey—Completely FREE! Ready to try a spoonful for yourself? 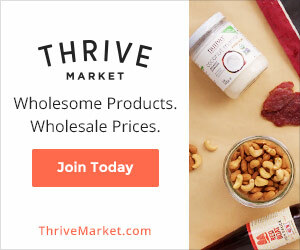 Well, you’re in luck, because for a limited time, Thrive Market is offering all new customers a free jar of Really Raw honey. And existing customers can get in on the fun, too—they’ll score a free jar with their next purchase over $50! Offer good from: Thursday, 9/22/2016, at 12:01 a.m. PST – Wednesday, 9/28, at 11:59 p.m. PST.